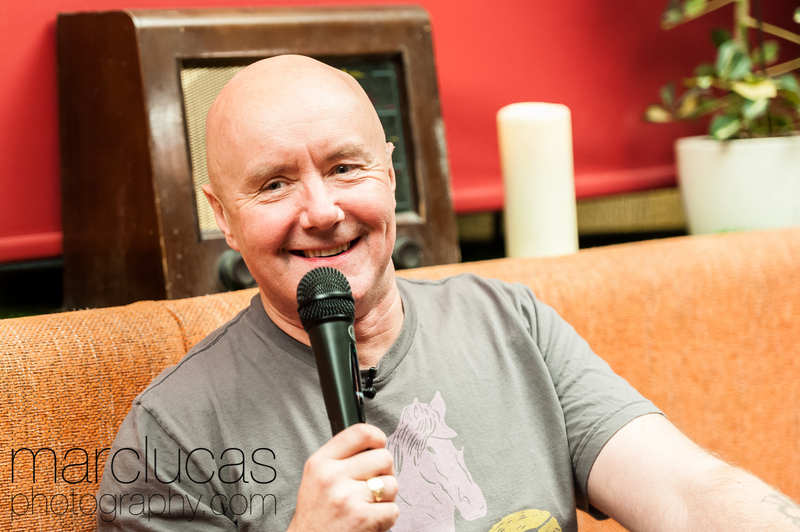 Irvine Welsh burst on to the bourgeois literary scene like a stray molotov cocktail in the early 1990’s with “Trainspotting”, a visceral, linguistically corrosive tour de force that took the reader into the dark heart of Edinburgh. After becoming a cult classic, and the most shoplifted book of all time – even though it sold millions – the film version took the world by storm and propelled Irvine into a career that has seen him follow up with The Acid House, Glue & Filth to name just a few. Accomplished as a novelist, screenwriter and playwright, Irvine has never forgotten his roots and still connects his readers to the squirming underbelly of life. Irvine mixes bruise black comedy, social commentary and scalpel sharp observation to tell his stories in print and on screen, he also follows the great Scottish tradition of oral storytelling in his worldwide – always sold out – speaking engagements. He delighted us with insights, stories and great warmth. Thank you for being with us Irvine.